PondXpert Preformed Pond Goldfish & TripleAction 3000: Preformed Pond Liners: Pond Liners - Buy pond equipment from Pondkeeper: fishing out the best deals on the net. 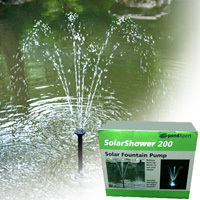 £30 and an additional £20 when buying this pond and pump set together. 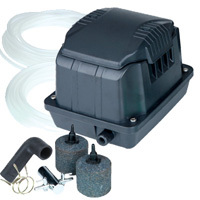 One of biggest preformed pond liners plus a half price 'all in one' pond pump. Everything you need to create a great pond at an astonishingly low price! Don't worry about any 'bulky item delivery surcharge' - we'll send all of this to you under our standard tariff. 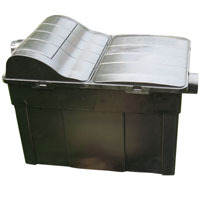 Despite its large size this preformed pond is light in weight and easy to move into position. It is also very easy to install, making it extremely suitable for beginners). To install simply turn the pond so the top is facing the garden and mark around the edges with sand, chalk or paint. Move the pond away and you are left with a digging guide. All you then need to do is to dig out enough soil so the pond edges match the level of the garden then back-fill any spaces with upturned earth. 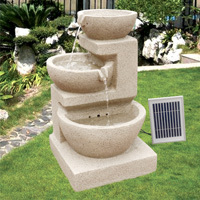 Follow the links for more information on the preformed Goldfish pond to view the preformed pond in more detail or TripleAction 3000 for the pump.